The fatal crash last week involving a Tesla did take place while the vehicle was on autopilot, the company confirmed late Friday. The National Transportation Safety Board (NTSB) is still investigating the accident, which took place March 23 and killed the driver. "In the moments before the collision, which occurred at 9:27 a.m. on Friday, March 23rd, Autopilot was engaged with the adaptive cruise control follow-distance set to minimum," Tesla said in a statement. "The driver had received several visual and one audible hands-on warning earlier in the drive and the driver’s hands were not detected on the wheel for six seconds prior to the collision." In this Friday March 23, 2018 photo provided by KTVU, emergency personnel work a the scene where a Tesla electric SUV crashed into a barrier on U.S. Highway 101 in Mountain View, Calif.
Walter Huang, 38, died in the accident when his Tesla Model X slammed into a barrier on the 101 Highway near Mountain View, California. Huang worked as an engineer at Apple. In its statement, Tesla blamed the seriousness of the accident on the barrier, which was not repaired after a previous accident. "The reason this crash was so severe is because the crash attenuator, a highway safety barrier which is designed to reduce the impact into a concrete lane divider, had been crushed in a prior accident without being replaced," Tesla said in its statement. 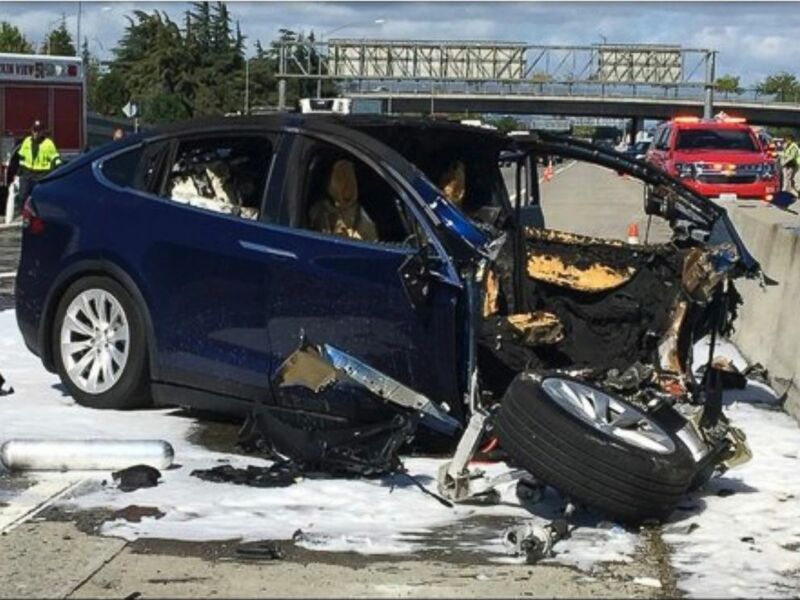 "We have never seen this level of damage to a Model X in any other crash." Huang's brother, Will, told San Francisco ABC station KGO that Walter had complained "seven to 10 times the car would swivel toward that same exact barrier during auto-pilot." "Walter took it into the dealership addressing the issue, but they couldn't duplicate it there," Will said. 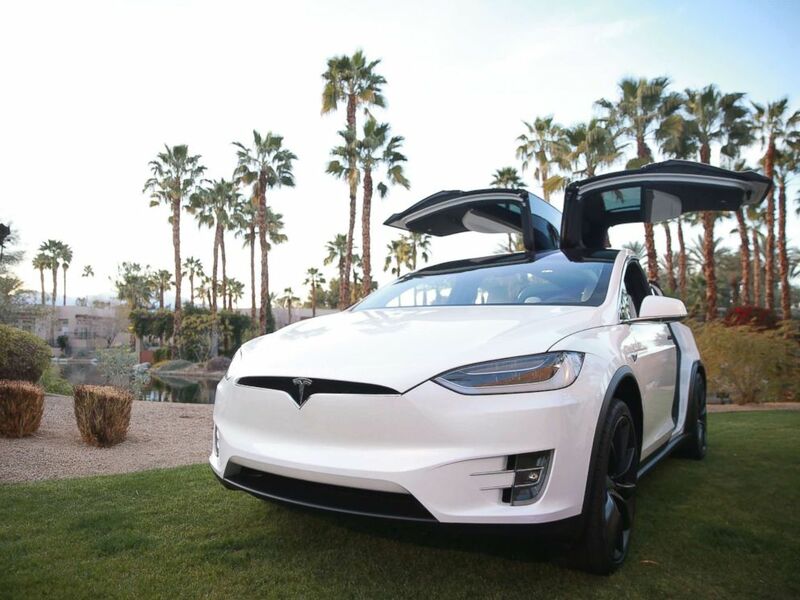 A Tesla Model X is displayed during the Citi Taste of Tennis at Hyatt Regency Indian Wells Resort & Spa on March 5, 2018 in Indian Wells, Calif. The California Department of Transportation (CalTrans), which is responsible for maintaining the barriers, released a statement to KGO saying "replacement work was scheduled." "Once our Maintenance team has been notified, the Department's goal is to repair or replace damaged guardrail or crash attenuators within seven days or five business days, depending on weather," CalTrans told KGO. "These are guidelines that our Maintenance staff follow. However, as in this case, storms can delay the fix." KGO reported the previous accident that damaged the barrier took place 11 days before Huang's fatal crash. Autopilot and autonomous vehicles have come under increased scrutiny recently after a women was killed by one of Uber's autonomous vehicles in Tempe, Arizona. Arizona's governor suspended Uber's license to test autonomous vehicles on public roads last week. Telsa said on Friday its autopilot "unequivocally makes the world safer for the vehicle occupants, pedestrians and cyclists."